A vehicle is the most expensive and most essential component of a trucker’s life on the road.It only makes sense that everything possible should be done to keep it in good shape and running smoothly. 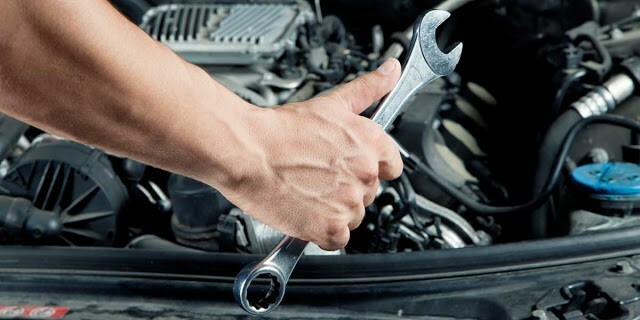 At the top of the list for vehicle care should be preventative maintenance (or pm as it is often referred to.) P.M. is one of the most indispensable actions you can take to achieve the goal of a truck or fleet efficiently running. Preventative maintenance is usually defined as proactive measures that involve scheduled servicing, inspections, and vehicle repairs to prevent potential problems and maximize vehicle availability. Preventive maintenance must be performed regularly, otherwise, vehicle lifespan will be greatly reduced. …and perhaps most importantly, avoidance of serious accidents. If your fleet’s vehicles demand excessive repairs it might indicate that your maintenance or inspection procedures are inadequate. It is critically important to have these preventative procedures in place to avoid accidents. It is important that a rigorous maintenance schedule is adhered to. This will ensure greater year-round vehicle time on the road. Drivers should have a list or map of available service centers in their operating area. No driver in California wants to get stuck in the Los Angeles freeway system without a mechanic to depend on. Fleet managers must be especially aware of preventative maintenance and take it upon themselves to be responsible for this essential aspect of the business. It’s not just being accountable for keeping the vehicles in working condition and the fleet running efficiently, it is also a matter of liability. The US Department of Transportation (DOT) estimates that over 500,000 truck accidents occur annually. 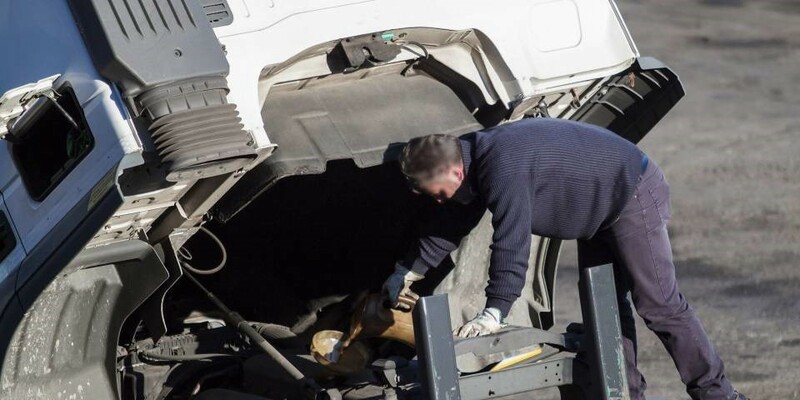 There are a variety of causes for these situations, but if a vehicle becomes unsafe due to lack of maintenance or repair, the fleet manager can be held liable for negligence. For example, according to a Department of Transportation study, 29.4% of all large truck crashes involved brake issues and many of these incidents might have been prevented with proper repairs and/or preventative maintenance. The regulations also require that records of all inspection, maintenance, lubrication, repairs, and upcoming maintenance be kept for one year while the unit is in service. These records are required and there are penalties for not meeting these standards. But setting up and keeping maintenance records can also help evaluate your overall program.The records can objectively help you decide if your maintenance program is working. Analyzing this type of data will help you determine where you are having vehicle problems and how much it is really costing you to operate a specific piece of equipment. The above may seem like an extensive list, but each of these plays a major role in the reliability of the big rig and the ability to keep the fleet running. Maintenance will also vary by the routes and geographical areas one is running in. Undoubtedly, Texas drivers will have to contend with issues that deal with heat and the problems that may impose. Those trucking through Michigan must keep up on maintenance particular to cold and snow-related weather conditions. Vehicle manuals: Most manuals will have the recommended preventive maintenance routines and schedules. Other Drivers: Your experienced contacts and acquaintances in the trucking industry are a great source of information on keeping your vehicle running. They may have recommendations for parts and repairs as well. Ask others who currently have a truck driving job or who have held a position with a trucking company some tips to save yourself a maintenance hassle down the line. Manufacturers: Don’t be afraid to ask the supplier of your truck for assistance. Some manufacturers will even have seminars dedicated to maintaining the health of the vehicle. Online Sources: These days, the internet is a prominent source of information. There are online forums for drivers and owner-operators talking about specific models of truck and the best way to keep the vehicle at top quality on the road. The first line of defense for any company is the driver and communication plays a major role in understanding any breakdown or needed repairs. It is the carrier’s responsibility to train the vehicle operator on proper inspection procedures. Before starting out on any trucking job, drivers should carefully inspect the vehicle and do additional checks during and after the trip. These proactive behaviors can catch any issues before they become costly problems. The most successful programs have a standard form for drivers on which items should be checked. These documents should also have a rating or comment section where drivers can describe any issues that may require attention. Unfortunately, unscheduled maintenance cannot always be avoided no matter how diligent the driver is. For example, drivers may accidentally leave on the interior lights, causing a dead battery. Nevertheless, by executing regular preventative maintenance (PM), or even a cursory check of basic things like lights and switches, unwanted “surprises” can be greatly reduced. After reading the first part of this article, it may seem that it is common sense to adopt a p.m. program. But not every operator embraces this concept nor has the ability to given the limitation they may face within their trucker job. 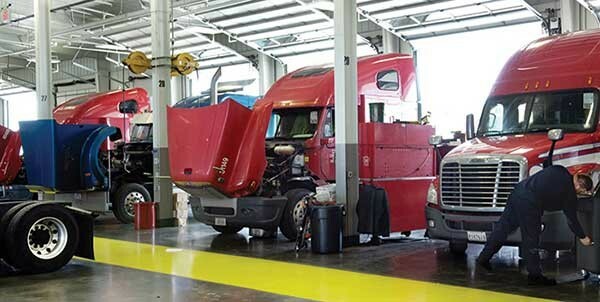 Money, or lack of it, can play a role in ignoring proper maintenance.Some owner-operators may be in tough financial shape and this may cause them to put maintenance on the back-burner for a while. They falsely believe that they cannot afford preventative measures when the actual truth is that planning ahead will actually save them money. Other truckers have a hectic schedule and have several routes they must make back-to-back. Imagine the routine a trucker in Florida must face when making regional runs and they are confronted with a vehicle problem without having a professional look at their rig. They make the incorrect decision that hauling goods is more important than inspections and that their fleet of trucks can wait to get regular maintenance. When things are going well, it’s easy to imagine that they will stay on that way forever. But smart owners understand how important p.m. is and that it can save them enormous long-term costs. If you’re driving a lot of miles without proper maintenance, it’s only a matter of time before something major breaks down on your truck and you learn the true costs associated with not doing PM. If you are overwhelmed with the daily tasks of being an owner/operator or fleet manager, let technology become your friend and assist you in staying on top of regular PM. Automatic reminders and alerts can easily be set via a computer calendar, email or text. No special trucking software is required since just about every Smartphone has these features. Maintenance and repair cost are considered a variable operating expense. The key word here is “variable.” Some items can be planned, but many times unpredictable repairs are needed.Setting up a dedicated account for your PM and repair costs allow you to track the amount spent on maintenance and repairs. If you don’t factor these costs into your business model, you will never have a clear picture of how much you are spending and how much you need to put aside. Preventative maintenance is a perfect example of the old saying “work smarter, not harder.” P.M. is vital for every trucking company in order to anticipate potential issues so they can be addressed before they become problematic. 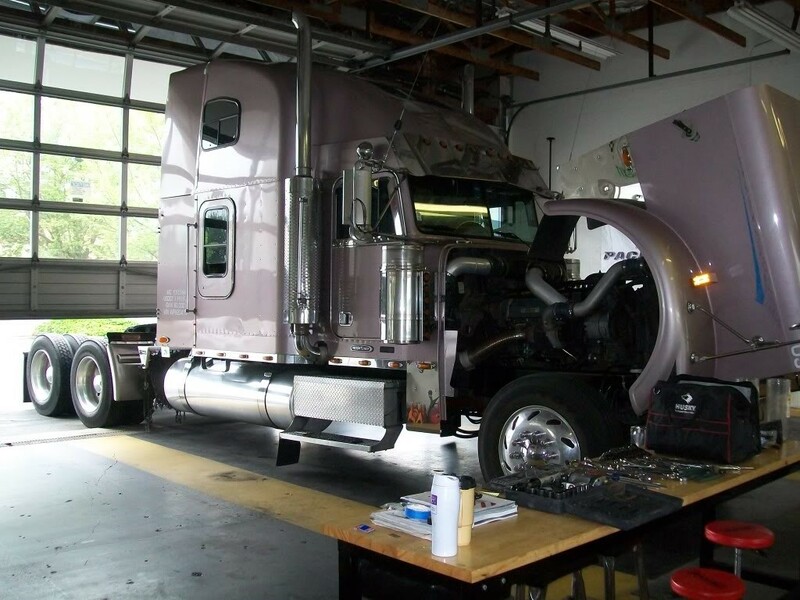 This involves inspecting all components on a truck that can suffer from wear and tear.There is no doubt, inspecting, servicing and repairing your big rig will provide long-term benefits for the life of the vehicle and help reduce the long-term cost to your truck driving company.